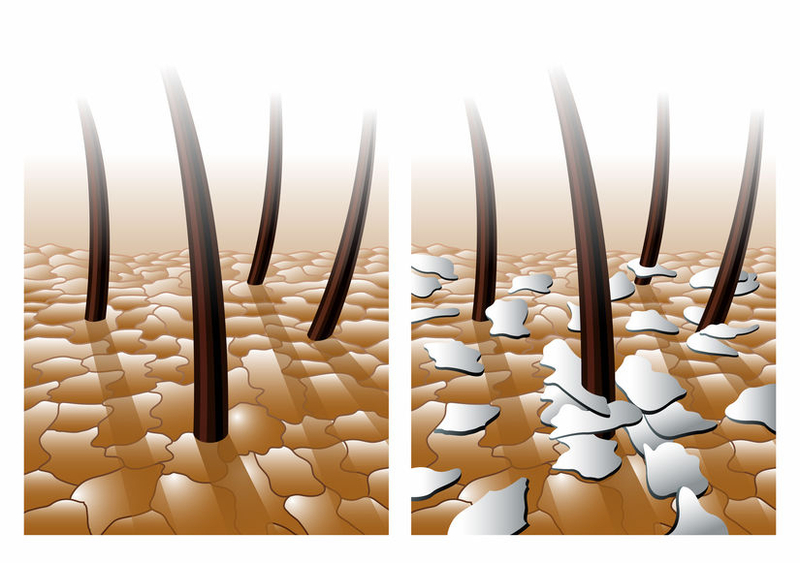 Just like other body parts, our scalp also sheds dry and white flakes while new skin cells get formed. However, the problem begins when skin cells grow and die quickly. These white flakes called dandruff shed too fast, thus making them visible to the naked eye. Besides, making the scalp itchy, these flakes can be unsightly and embarrassing. 1. Aloe vera: Popular for its medicinal properties, aloe vera leaves are full of slimy, water-filled gel that help reduce the dryness of the scalp, and, eventually, control the growth of dandruff. Aloe vera’s anti-inflammatory properties help nourish the scalp and remove the dead skin cells. 2. Coconut oil: Known for multiple health benefits, coconut oil is in general good for hair as it hydrates the scalp and prevents dryness that worsens the condition. The antibacterial and moisturising properties of coconut oil reduce symptoms of eczema and dandruff. 3. Neem: Known for its medicinal properties, neem is used for treating several skin diseases. Its antifungal and antiviral properties help you control dandruff and make hair soft and beautiful. d) Use Pankajakasthuri’s Ayurvedic Dandruff oil, containing neem and other natural ingredients, to prevent dandruff. Gently massage your scalp with the oil for 15 minutes before every bath. 4.Olive oil: Applying olive oil is one of the best ways to treat dandruff. Olive oil moisturizes the dry areas of the scalp that are flaking off. Applying olive oil on regular basis will control the dandruff problem. a) Apply an overnight olive oil soak. b) Heat olive oil until it’s barely warm. Use a cotton ball to apply it to your scalp. 5. Lemon: The acidity of lemons help balance the pH of your scalp and breaks down dandruff built-up. Lemons not only clean your scalp, they leave your hair smelling clean and fresh. Take 2 tablespoons lemon juice and massage your scalp with the juice. Once done, rinse your scalp with water. Then take 1 cup water and mix 1 teaspoon lemon juice into it. Rinse your hair with the mixture. Do it daily until your dandruff disappears.